Tow Truck Services Provided by Rocklin Ace Towing include 24/7 towing and roadside assistance, along with tire change service, jump start service, fuel delivery and accident assistance service. If you run into an unexpected problem on the road, call the best tow truck service in Placer County, call Rocklin Ace Towing. Because we know driving doeasn't stop for weekends, evenings or holidays, we have dispatchers standing by 365 days a year to take your calls and set you up with a tow truck. Rocklin AceTowing has state of the art flatbed tow truck ready to get to you quickly to get your car or truck on the way to a body shop or mechanic after an accident. Our flatbed trucks make all the difference when the damage from the accident is significant. We just load it up on the truck bed and head right for the shop. 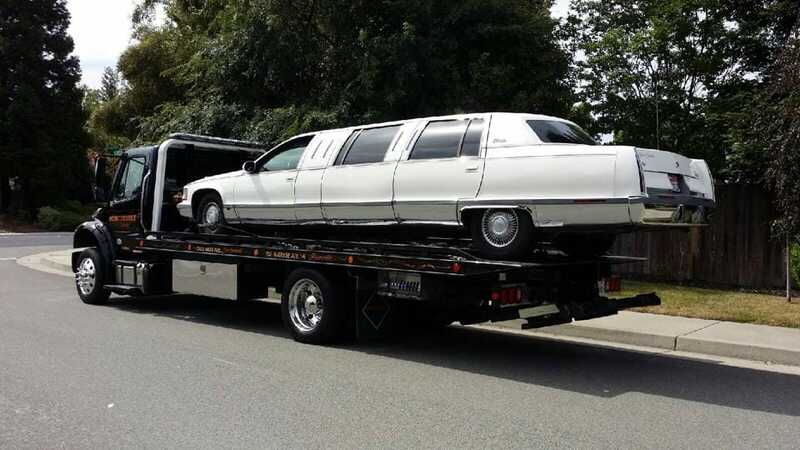 ​Pretty much every time your car or truck stops running and leaves you in need of foadside assistance it's an emergency, and at Rocklin Ace Towing we treat it that way. It's our job to get a tow truck and an experienced driver to you quickly, so we can get your vehicle runnung again post haste. Just because we help people with flat tires every day does not mean we treat tire change service as routine. We know it's not routine to you, and we know you need top get back on the road so you can take care of business. Your Rocklin Ace Towing driver will work quickly, so you have a new tire safely mounted and your life can go on. How big of a drag is it to run out of gas? You really thought you could make to that next gas station, but 'No,' your vehicle sputtered and died before you could get there. Rocklin Ace Towing drivers have fuel on hand, to get you gassed up enough to get to the next gas station. Jump start service is available from Rocklin Ace Towing 24/7. When your battery decides to die, it means you aren't going anywhere. That's where we come in. We will get a tow truck and a driver to you quickly, so your engine can be humming again. Rocklin Ace Towing works closely with charity fundraiser Donate Local to help charities like Shriners Hospitals for Children, Boys and Girls Club of Greater Sacramento and WEAVE with their car donation programs. When it's time to pick up a donated vehicle, we get right on it, so Donate Local can start working the car or truck to get it ready to be sold. Removing vehicles that are illegally parked in properly marked parking areas, or from roadways where they have been abandoned is a daily activity for Rocklin Ace Towing. We work with private property owners and various law enforcment agencies to see to it that cars that need to be removed are safely towed and securely stored. Don't we all wish car accidents didn't happen, but they do. When they do, Rocklin Ace Towing is ready to get to the accident quickly and get vehicles moved. Our drivers will always make sure you and your passengers find a safe place, away from traffic, before actually towing your vehicle. Locked out of your car? It's a lousy feeling, made worse by the fact that you probably have no one to blame but youself. No worries. 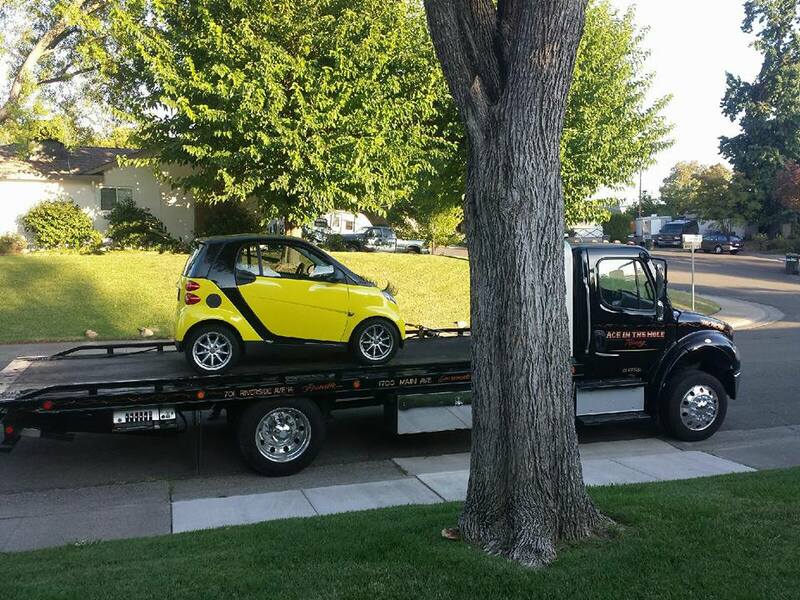 Rocklin Ace Towing will get to you quickly and get your door unlocked. Our drivers all have the latest tools and technoloy to get your car lock poped, and get you back into your car. Rocklin Ace Towing tows lots and lots of classic cars and trucks. Our drivers love the opportunity to transport both vehicles needing restoration work, and cars and trucks that have already been turned into works of art. 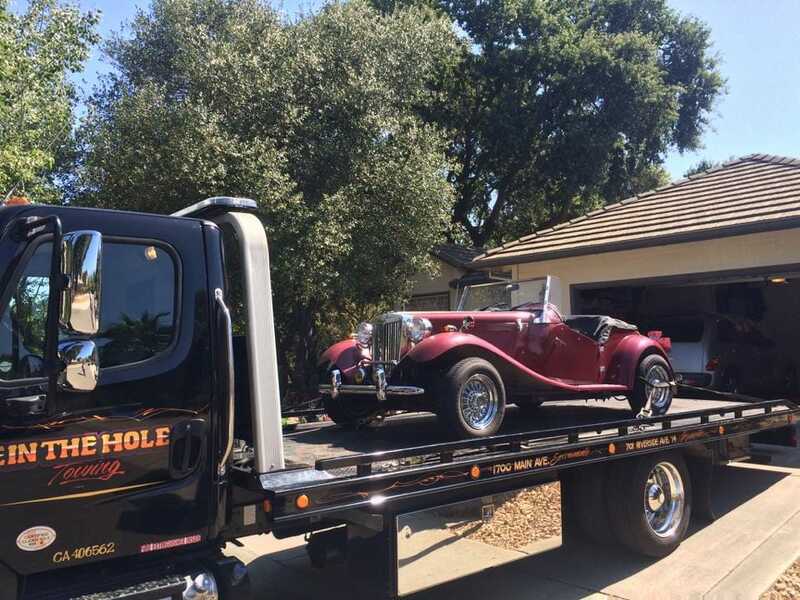 It's a big responsibility to take care of a vehicle that looks ready for a car show, but we welcome the chance to help, and thank owners of classic vehicles for putting their trust in Rocklin Ace Towing. How deep into the mud did you think you could go? We get some suprising answers when we show up to help and ask that obvious question. 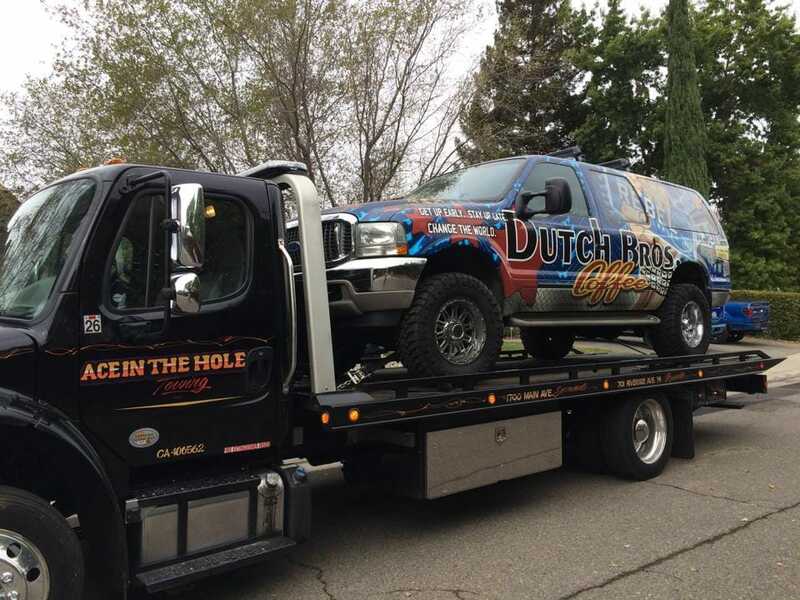 No matter, Rocklin Ace Towing can get you winched out. Please promise though, that you won't get your 4X4 stuck three weeks in a row again, because your wife isn't going to believe the next crazy story you ask us to tell her.